The primary difference between air source heat pumps (ASHPs) and a geothermal heat pump (GHP) is that the ASHP moves heat to and from the air while a GHP uses the ground to find or deposit heat. When your home was built, odds are that a lot of careful through went into the ductwork design. A central HVAC system needs to carefully regulate the pressure in the ducts to deliver the right amount of air to every part of your home. If you're adding onto your home, amending this careful balancing can become a challenge — but you don't want to exclude your new addition from your heating and cooling considerations. In this case, a ductless system may be the answer. 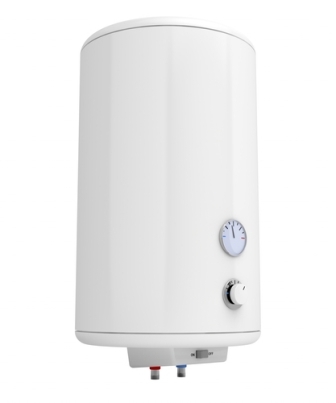 There are many factors to weigh when shopping for a new heating system. The energy source, for one, must be available. Additionally, system size and heat output should adequately meet, but not exceed your home’s load. In some instances, you may also consider additional services when applicable, such as home cooling and water heating. Auxiliary Heating for Your Heat Pump: What's the Best? 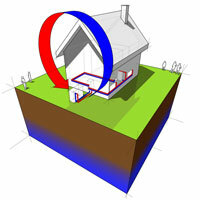 Heat pumps are economical and efficient way to both heat and cool your home. 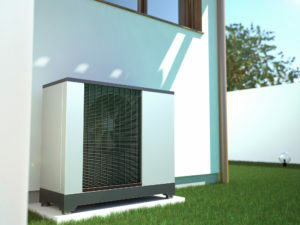 Although a heat pump has many advantages, it does have one serious limitation – with most standard models of air-source heat pump, the appliance struggles to maintain comfortable heating when temperatures fall below freezing. That's why they almost always come with an auxiliary, or backup/emergency heating method. Preparing your heat pump for the heating season requires more than switching it from A/C mode to Heat mode on your thermostat. When you take the time to prepare and maintain your heat pump before the cold weather arrives, you help maximize its performance and catch small problems before they become unwanted expensive headaches during a heating contractor’s busiest season. Your heat pump is responsible for maintaining an even and comfortable temperature throughout your home. The system has two cycles that are responsible for heating and cooling, as well as a defrost cycle used to reduce any frost buildup on the outside coil. In homes heated by a furnace, setting the temperature back at night ensures energy savings. That’s not necessarily the case with a heat pump, however. In order to avoid turning on the backup electric resistance heat during the recovery period (when the unit is working to get back to your comfort temperature), the heat pump's thermostat needs to work in a special way. No boiler, furnace or electric-resistance heating system manufactured today can deliver greater heating efficiency than your air source heat pump. So, if your heating bills are suspiciously high, the settings for your heat pump may be the culprit. Savvy Fort Wayne area homeowners who use heat pumps for energy-efficient heating can also enjoy efficient cooling and dehumidification for their homes during the cooling months. If you're in the market for a new air conditioning system, consider the benefits of an air-source heat pump as an all-in-one cooling and heating solution. In the spring before your heat pumps switches over to its cooling function, a yearly maintenance check is a good idea. An HVAC professional will inspect the unit for rust, leaks, corrosion and any wiring that appears frayed or loose. The service technician also will check the heat pump condenser, compressor, fans, indoor and outdoor coils, air filter, airflow and refrigerant lines. He will clean and oil parts that need those services. He also will measure the amount of refrigerant in the heat pump system and add refrigerant if necessary. If you’re getting ready to install a heat-pump system in your Fort Wayne home, you’ll ensure peak performance and optimal home comfort by first prepping your home. Prepping the home involves lowering its heating and cooling load so that you can install a smaller-sized system and/or the unit can operate efficiently, as well as addressing ductwork factors and following proper installation guidelines. If you're buying a heat pump, you no doubt want to be armed with the right questions to make an informed decision. In Indiana, we have cold winters and hot summers, so you're going to want a system that performs well throughout the year.